The new Amira Boots by Fairfax and Favor are over the knee Portuguese riding boots with a beautiful suede finish. 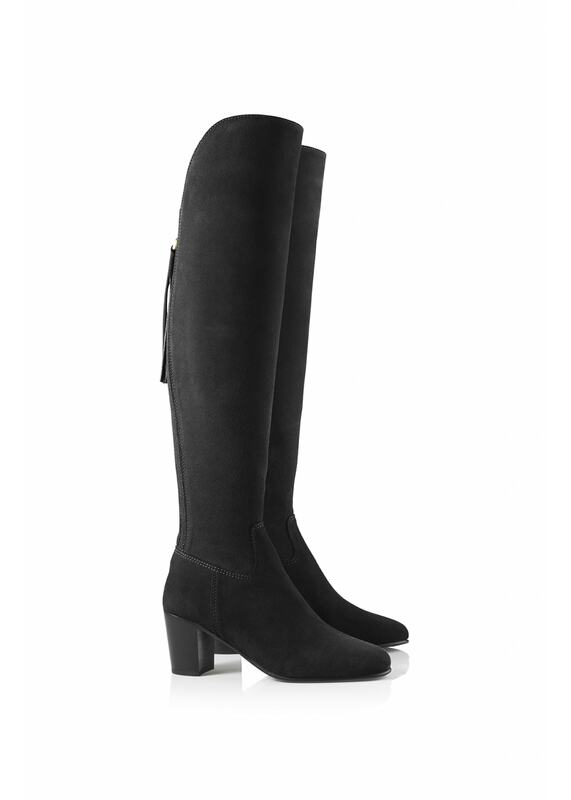 The new Amira Boots by Fairfax and Favor are over the knee Portuguese riding boots with a beautiful suede finish. With all the features of the classic Regina and extra length and heel height, the Amira Boots are guaranteed to make a statement this season. We recommend that the suede is treated with the Fairfax and Favor Suede Protector before use and then on a regular basis. The Amira boot is crafted with an elastic panel that can stretch up to 3cm in addition to the calf measurements stated below. The Amira boot is crafted with an elastic panel that can stretch up to 1.2" in addition to the calf measurements stated below.